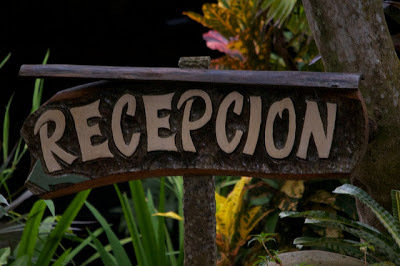 I've heard the word "Reception" used for the lobby of a hotel on various British television shows. It's a nice word, Reception. Welcoming. I can't weigh in on the British "reception" but I can tell you that in Dutch the front desk check-in area is called "receptie". The same word is also used for the same thing in offices etc. In German, it's called "Rezeption" and means the same thing. In Italian you would use the English word and I think the actual check-in desk is meant there as well. It's kind of both. In English hotels the front desk is reception, but you would also use reception to refer to the whole lobby area (so you might tell someone you'd meet them in reception). I dont know if thats technically how the word should be used, but most people use it that way. I didnt realise it was a British thing, is it not used in that way in the US at all? Chiara: Thank you, as always, for weighing in with your supreme language knowledge! I like "receptie" a lot. There's something fluid-sounding to it. Kelly: Why hi! Is this your first time commenting? Thanks for stopping by. 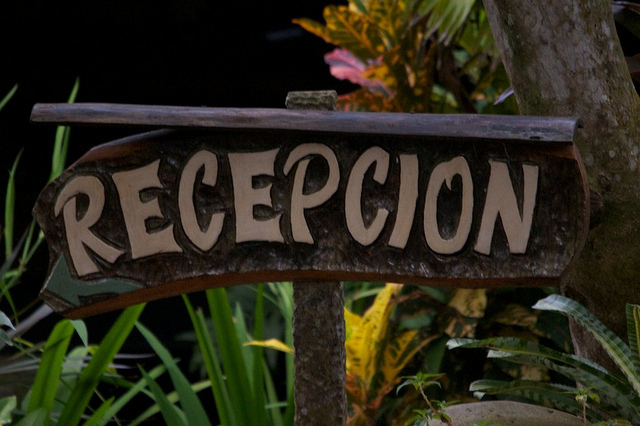 It's not a U.S. thing, as far as I know, though I wouldn't be surprised to see a more formal or posh hotel hang the "Reception" sign. It's nice that the word can mean the whole area in Britain rather than the distinct lobby/front desk thing we do in America. Anything else you'd like to see in the posts, re: Wilfair or not? I love giving blog visitors what they like. In short, I take requests! Yep first time commenting, I just finished Redwoodian yesterday, and I love love loved it. My least favourite thing about kindles is that I forget to look at the percentage bar so I never realise how far through the book I am, and when I got to the end of Redwoodian I was so sad and unprepared for it to be finished! So I went google hunting for news about Stay Awhile and ended up here! Just starting to read my way through your other posts now (in between pretending to be doing some actual work), but I love the Monty and Gomery clothes posts, so would love more of those for the other characters. And any other Stay Awhile tidbits you feel like sharing to tide me over until the release would be much appreciated! Kelly! Thank you so much! I'd send you a tall glass stuffed with cherries to show my deepest appreciation if I could. 1. For sure, have a look around. There are quite a few posts covering all aspects of the books, characters, LA, magic realism, romance, and food. I'm glad you're here! 2. Your experience with "Redwoodian" ending is something I heard from other readers, too. With that in mind, "Stay Awhile" is longer. Like, LONGER. We'll see how this goes, but I hope I'll deliver what people want. 3. You probably saw in the top post that the book'll be out a pinch before Christmas, if all stays on course. Fingers crossed. 4. I'm already writing a giant missive. Okay. Man. Uh. Two more quick things: What part of Britain are you in? I love it so much. I'm hoping you live somewhere I've been so we can discuss! But if not please feel free to share any fascinating tidbits about your region. I write travel for my job so I'm fascinated by just about everywhere. 5. 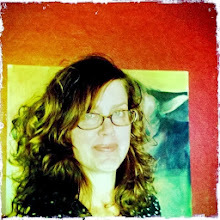 I gently prod my sweet blog visitors to let me spotlight them in a special post. If you're game, let me know. Oh, and here's a "Stay Awhile" peek, if you want! Eeek! Preview page is all swoony and lovely, and has made me even more excited! Yay for longer! And for December 20th. My lovely boss has just agreed to give me a whole week off over christmas, and now I know exactly what I'll be doing when I'm not manically wrapping presents and chopping up enough brussels sprouts to feed my entire enourmous family! I'm from Croydon (South London), went to Uni in Leeds, and have friends and family all over (Bournemouth, York, Norfolk amoungst others). Where have you visisted? Wow travel writing sounds so exciting! Where are your favourite places? I've travelled quite a bit, and I'm always so torn between wanting to go back to all the places I went to and loved, and wanting to go looking for new favourite places. The spotlight posts are cool, I'm game! Croydon! Right on. I have not been there but do know it (and I just spent some more time learning about it -- I love being prompted to familiarize myself with places). Funny enough, my university had an exchange program with the uni in Leeds. I had the brochure on my desk for about a year because I wanted to do it so badly. It just didn't come together. Let's see. I've spent some time in London, Kent, Bristol, and the Cotswolds. London and Los Angeles, to me, are very simpatico in spirit. Big, vigorous cities with a bit of the whole world to them. I felt very at home there. But I adored everywhere I went. 100% ADORED. Lovely boss indeed! Hooray! And brussel sprouts, hooray! One of my favorite foods, as long as they're sauced or cooked in some garlic and oil. How do you do yours? More on my travel writing soon; perhaps I'll do a post, because I'd love to hear the favorite places of readers. Thanks for the inspiration! And thanks for volunteering for a spotlight! I need to write some questions, and finish up some book work, so let's talk the last week of November. It will be a nice post to have up to start December. You can either send your email to me at wilfairbook@gmail.com or leave it here. Thanks, Kelly! I've enjoyed chatting. Oh, and please email me your full name, if you like, or a name you like to go by. I'll add you to the front of "Stay Awhile." I love reader support and want to say thanks! I've never been to Los Angeles, but a few of my friends have and said similar things about it and London having a similar feel. Brussel sprouts are so underappreciated! I hardly ever have them except for at christmas. I cook them with bits of pancetta and chopped up chestnuts. A post on your travel writing sounds great, I'd love to hear more about it. Ha no I definitely didnt expect my Stay Awhile googling to lead to this, it's been lovely chatting to you, and slightly surreal. I would be so thrilled to be added in to the front of the book! I'll email you now with full name. You're welcome! I figured as nobody British had answered (before Kelly came alone) I could give you some not relevant yet relevant information. Reading Kelly's comment on it, I am now actually wondering if the equivalents I mentioned aren't used the same way as well, for the whole lobby. I don't think I have ever used it that way but I'll look into that. I'm curious now! However what really had me come back here was brussels sprouts! I love them, they're maybe even my favorite veggies now. I love that winter is kicking in and sprouts are back in season again, I could eat them every day of the week. I shared some of my favorite recipes here, if you love blue cheese, absolutely try out the pasta recipe! Oh wow all of those recipes sound delicious! Definitely going to try the blue cheese pasta one, thanks! Chiara, love the recipe sharing! Bookmarked it. Ahhh, blue cheese, one of my best friends in the cheese world. I have issues, BIG issues, with the blue. As in, stopping eating it when it is time to stop. Ladies, if you ever make the jump across the Atlantic, and land in lovely LA, and let me walk you around The Wilfair's neighborhood, I will take you to a restaurant that makes the brussel sprouts I'm obsessed with. They kind of char them, so they're nearly black and crispy. OH MY WORD. It's an appetizer meant to be shared by three or four people, but sometimes I make it my whole meal. Is that so wrong? Oh, and Kelly, if you ever do a California road trip, I'll send tips. That's what I cover, California travel! I love this place. It's pretty glorious and almost ridiculously picturesque. Kelly, sorry, that might have been abrupt. I've posted on the blog a few times how I'd like to plan a few walk-abouts in The Wilfair's LA neighborhood. It's an area I love and love to show off. The blue cheese pasta one is my absolute favorite. The combination of brussel sprouts and blue cheese is delicious. I once made brussel sprout soup, with blue cheese as well, yum! I hope you'll like it Kelly! Alysia, I might have that same problem. I love a piece blue cheese with a glass of Port as well. Or well several pieces. I want to come over and eat those brussel sprouts now! I'm pretty sure I could make them my whole meal as well. I mean brussel sprouts! I can't share those with three or four others! I made caramelized chicory the other night, delicious! But my mind immediately went to the brussel sprouts as well, I need to make caramelized sprouts soon! But tomorrow I got brussel sprouts mash with chestnuts and apple butter on the menu. Never made it myself but I heard it's delicious! I didn't realise it was an actual intersection until I got around to reading some of your earlier posts Alysia! Walking tour of The Wilfair's neighbourhood has totally been added to my dream trip itinerary. Welcome Kelly! My very favorite way to make Brussels sprouts is to slice them VERY thinly and caramelize them like onions. I add in a couple drops of liquid smoke instead of pancetta. You totally don't need anything else with this--but I often make Mmmm Sauce, which is like the most addictive sauce EVER and so so so easy. Chickpeas and nutritional yeast (which is kind of cheesy) and almonds and other yummies. That is EXACTLY the recipe I use. It is SO DELICIOUS. I need to make that sauce, sounds delicious!! Thanks for the tip!